We were established during the early 1980's and since then have pushed to beat our standards, upping our game frequently. We have collected a valuable reputation over the last 30 years and without it, our business would simply not be the same. We're based in the Ryeford region of Gloucestershire and take great pride in our ability to maintain a consistent level of quality whilst making sure that we touch all corners of Gloucestershire. 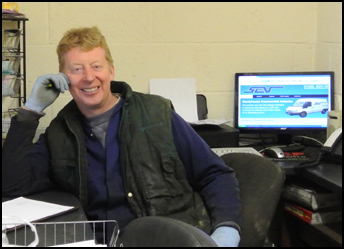 Our team consists of 3 specialists who have years of experience in fleet servicing and Commercial Vehicles. We service and repair using the finest equipment and when paired with one of our highly skilled engineers, it shows its worth. All of our engineers and technicians are fully insured, qualified and trained to the higher standard.